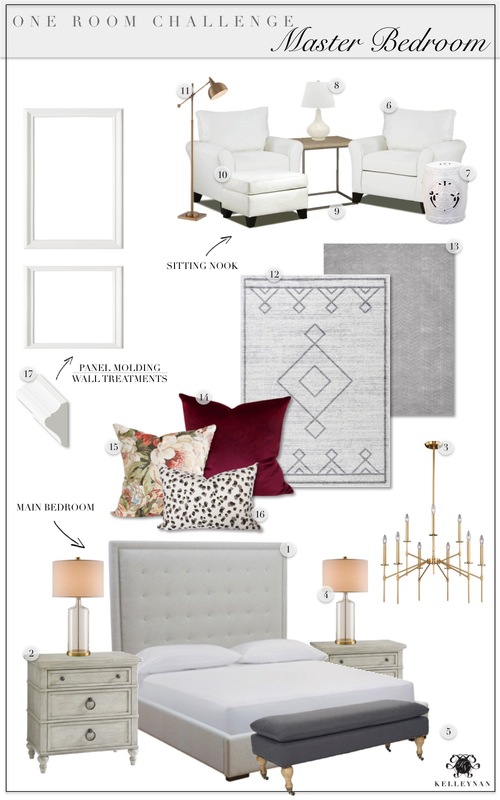 Friends, I can finally stop talking about the upcoming master bedroom makeover because the One Room Challenge has officially commenced! I’ve been thinking about what exactly I planned to do for a while but this week, when it finally matters, I realized aside from a few furnishings and details, my mind was blank. I even put off the master bedroom last go round to give myself plenty of time for planning and to get my ducks all in a row. Well, even though I am far from prepared to get this baby wrapped up in less than six weeks, I’m just gonna jump in and go for it! If you’ve been around here for a while, you are probably already familiar with the bi-annual ORC. If you are new-ish, I’ll break it down for ya. 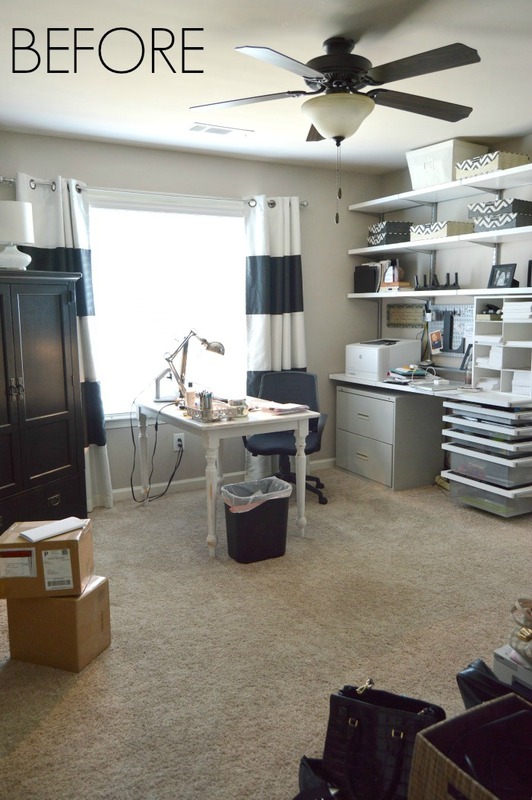 The One Room Challenge is a six-week room makeover challenge, hosted by Linda of Calling it Home; literally, hundreds of bloggers participate and post their progress each week. As a linking participant, that will be each Thursday until the final reveal on November 10. At the bottom of the post, I’ll leave a link so you can check out all the projects and bloggers who are participating this round. 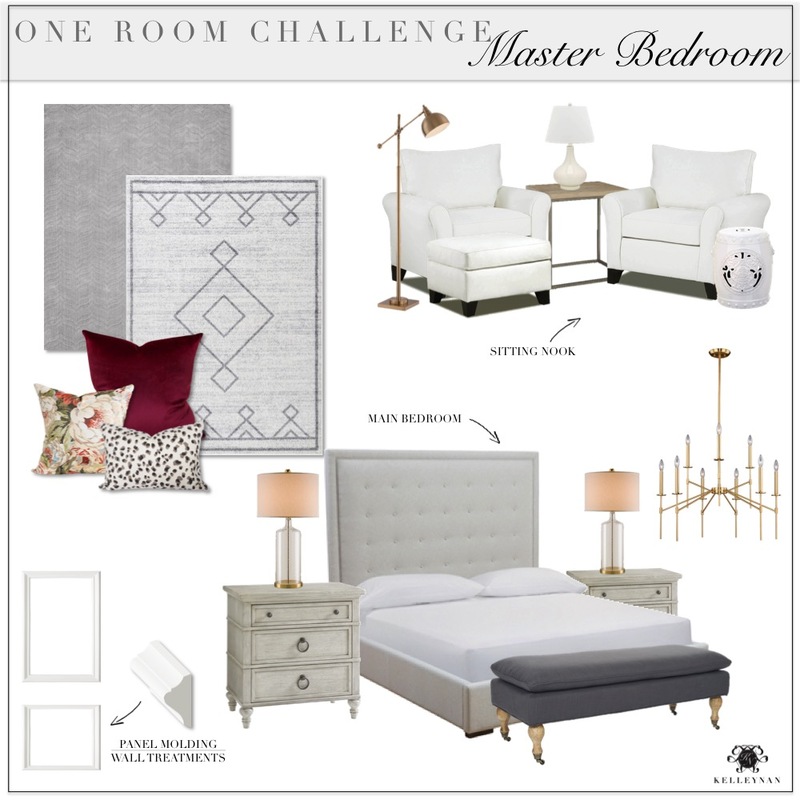 Master Bedroom Makeover- One Room Challenge: Week 1… let’s do this. and after six weeks, was transformed into this. You can see the full final reveal HERE. and this was the final result. You can see that full reveal with all the details HERE. Pretty fun, right? Drastic befores and afters are my fav so not only do I love the design part of the challenge, but I love scouring through all the makeover reveals and progress posts along the way. Ok, so my master bedroom. The truth is, I actually receive compliments on my bedroom. But, there is a big difference in styling a bed and styling an entire room. This is what I usually show. Not bad, right? I love our bed and bedding, and am always switching out throw pillows. But, I have never actually done our master bedroom. One of the dogs chewed the rug that was never replaced and like other unfinished spaces, it holds a lot of pieces and decor that don’t have another home. This is a more accurate representation of the uncropped state of our bedroom. I try not to make it a habit of having an unkempt bed but on this day, this was real life. I’m sure a lot of you may think it’s great to have a big master bedroom. Truthfully, I just see more space to have to furnish; I would have loved to have sacrificed some of this for a larger laundry room or closet but I suppose having too much space is better than having too little. Here are the challenges and primary areas I want to address. As big as the room is, the only natural light comes from the far side of the sitting room (which faces trees). It doesn’t get any direct sunlight so the room stays dark. Always. It needs to get brightened up without losing its cozy vibes. The walls are pretty blah- especially with the style of ceiling. The entire room just appears very builder-grade. I need to better define the spaces so it doesn’t look so much like an unfinished loft apartment. So, I came up with a starting game plan. It’s light, bright, and transitional an yes, y’all, it even has a chandelier. Dave has seen this plan but I don’t think that part actually registered with him just yet… As a compromise, I plan to invest in a sleek, powerful fan that can also be tucked away, out of sight, when it needs to be. If you have one you love or have experience with a Dyson bladeless fan, let me know your thoughts in the comment section. I know I am going to get this question so I will go ahead and address it now. I truly love our current bed. It is wonderful quality and I love the look. But, with as dark as our room is, the color tends to show up more of a darker khaki in the shadows. Reupholstering would have been super expensive (I’ve been down that road before). I am fortunate to have been able to partner with some of my favorites brands to sponsor a good bit of the room, making this all possible. I will absolutely be going into detail as the weeks go along but many of the furnishings above are in the process of being provided by The Mine and Metrie is helping me do something with my walls that I am stoked about. (Details on that coming next week). 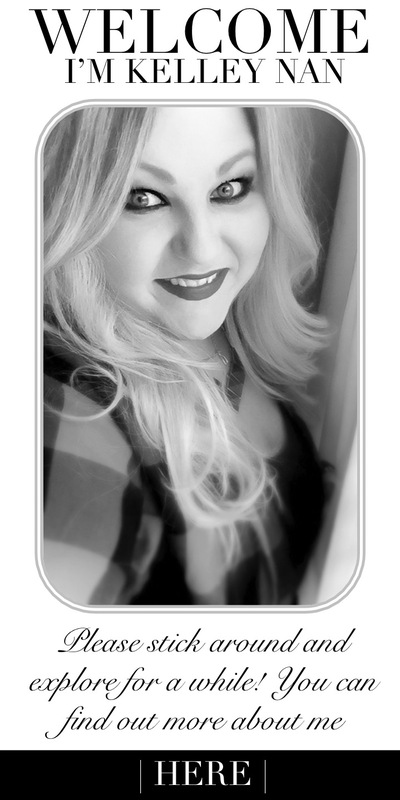 To get the latest updates each week, you can sign up for my emails at the bottom of this post. To check out the other bloggers and their projects, be sure to visit the link-up page HERE. And, you won’t want to miss the 20 featured bloggers (HERE). Head over, find some projects, and have fun followin them throughout the process! Love that light fixture and the pops of color with the pillows! It’s going to be beautiful! Chloe, thank you and how fun that you are a featured participant this cycle! Excited to follow along with you! This is going to be absolutely beautiful! That chandelier- all the heart eyes! I can’t wait to see the finished room! Excited to see where you go with this! 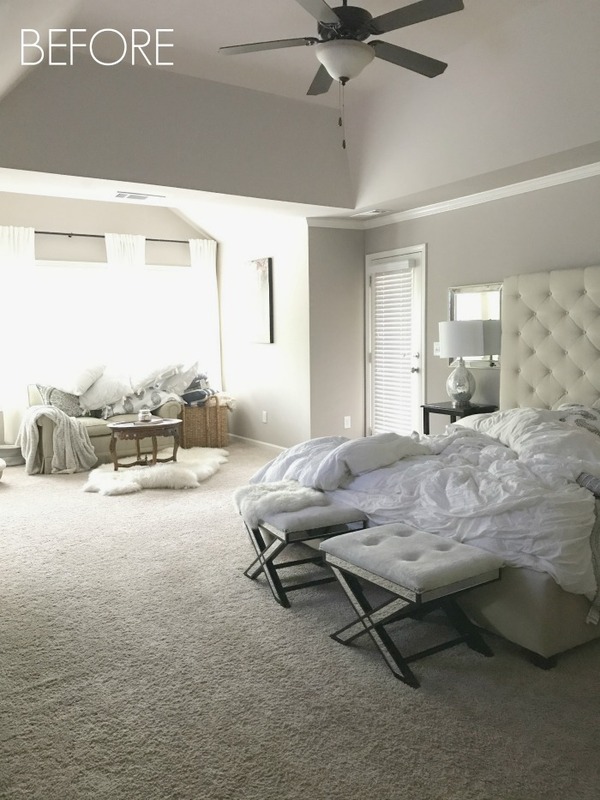 I have a large master bedroom too and I totally agree – the space is wonderful but it is a big task to not only furnish it but keep it from looking disjointed…right now mine looks like your awesomely “real life” before pics LOL If your master ends up like your Guest Bedroom it will be beautiful! 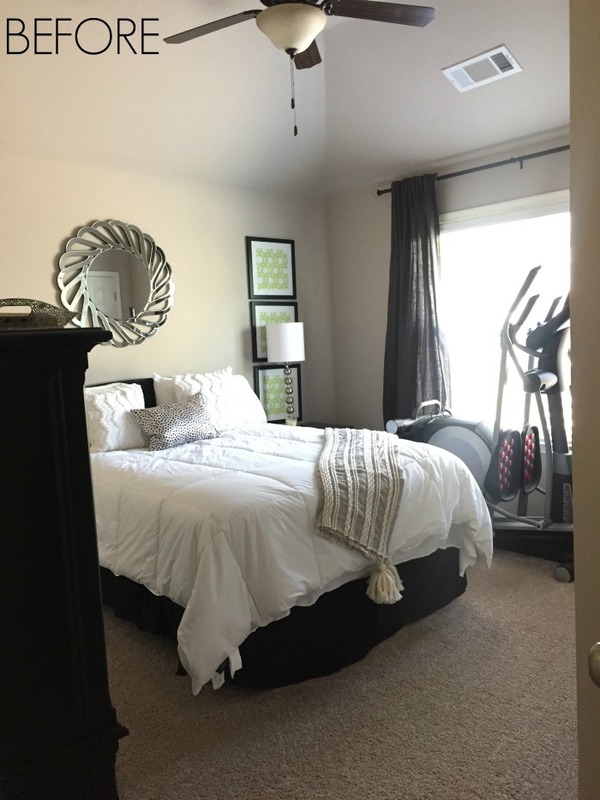 Lindsey, doesn’t it just make you want to have a small space for a mirror, bed, and nightstands?! haha I hope it all comes together! I bought the Dyson bladeless fan for our family cottage that has no AC. That fan is worth every penny and then some. It is quiet, very powerful and cooled off a big living room area in no time. I highly recommend. I’m excited to see how the room progresses! I LOVE your plan and cannot wait to see it all come together! SO fun to do this with you Kel! Tam, I am so excited to do this with YOU!! I can’t wait to see another makeover Kelley Nan! Awesome choices and I’m very intrigued about the ceiling fan you mentioned – I’ll be watching for the next update – Hugs! Kelley, I love the things you are considering for the room. I always picture your rooms with a touch of glam. So you. Especially love your lighting choices. Can’t wait to follow along. Lauren, thank you! The fixture is a little more modern than I typically do so I am pumped! 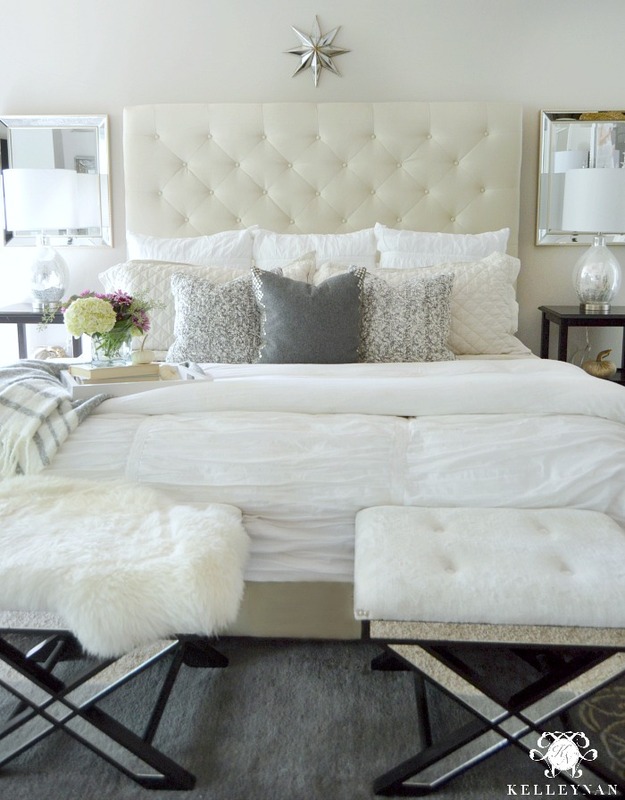 LOOOOOVE the bed’s headboard & height. That’ll look so GRAND! Thank you! I love the height of our current one so I really wanted to find something else tall… so excited to get this show on the road! it all looks really good, and the new headboard is so pretty! will the dogs get new beds too? Loved seeing them in your room! 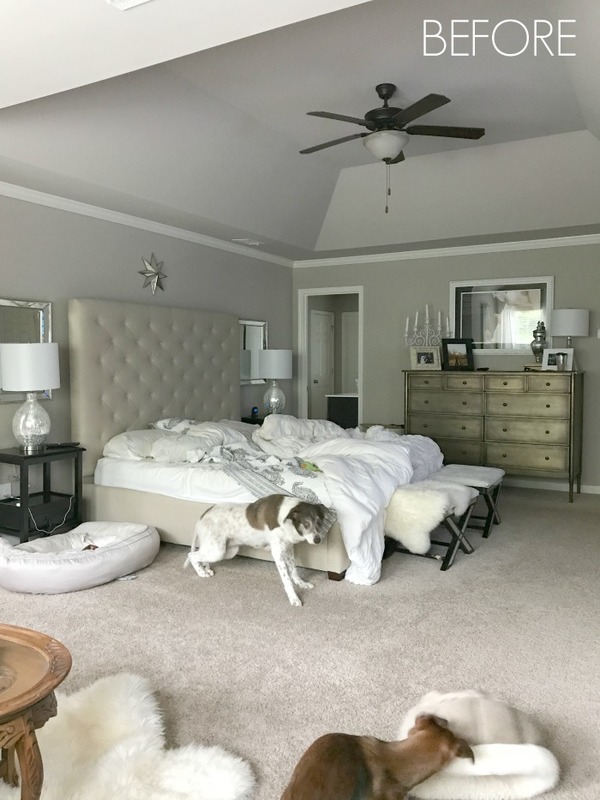 I’m super excited to follow along with your master bedroom makeover as a veteran ORCer…I’m a newbie so looking to you guys for inspo! Tracey, I can’t wait to follow your project! The walls are done (sans paint) and I am so pumped! Your office turned out absolutely gorgeous!! I’m doing my first ORC and tackling my master, so it’s fun to see other people’s plans for the same room. Can’t wait to see how yours turns out! I’m sure it will be beautiful!!! Love your inspiration pics for this room. Can’t wait to see how it all comes together! Libbie, thank you! I am so looking forward to it! The next six weeks is going to be so fun! I can’t wait to see the weekly updates! Sara, thank you! I can’t wait to share! Bree, you are the best. I <3 you! Kelly! I am addicted to you blog. You do a fantastic job and so talented. Hi, JoJo! Thank you so so much; I hope you will visit with over the next few weeks! The Mine IS sponsoring those; and, I absolutely understand. Once I get them in and start sharing, I will be on the lookout for sales, too ;). 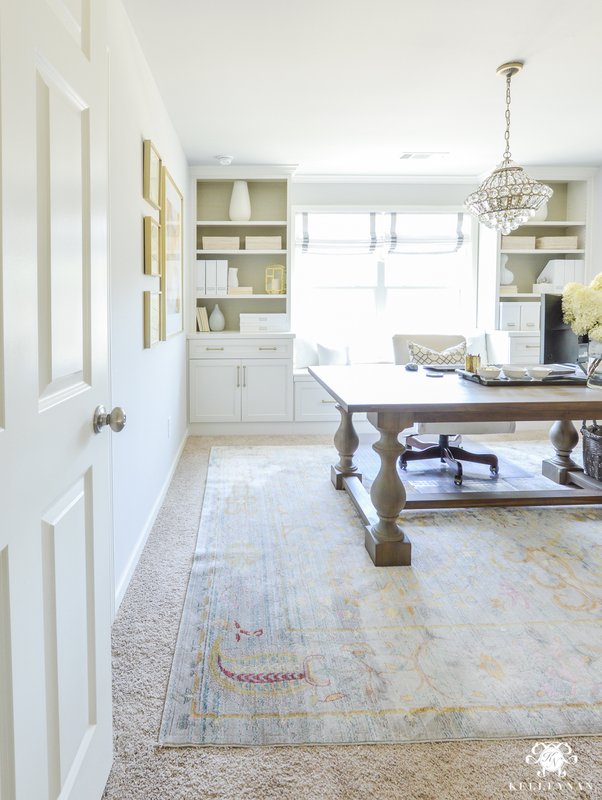 Your spaces always turn out so gorgeous, I know this one will not disappoint! It’s already so pretty, I know it’s just going to look even more amazing! Jen, I can’t wait to see YOUR LOFT!! Girl, you have sheer talent in your hands!! I LOVE your before and afters from previous challenges!! This room already looks amazing so I can’t wait to see it after you tackle it for the challenge!! I think I’m going to need you to help me with my kitchen!! Lol! !